MY SIDE OF THE RIDE: VELOMOBILES...my first up close look out on Rt. 90. VELOMOBILES...my first up close look out on Rt. 90. Perhaps, like me, you've only seen photos of these bicycles..actually, they're mostly tricycles with a body over them. 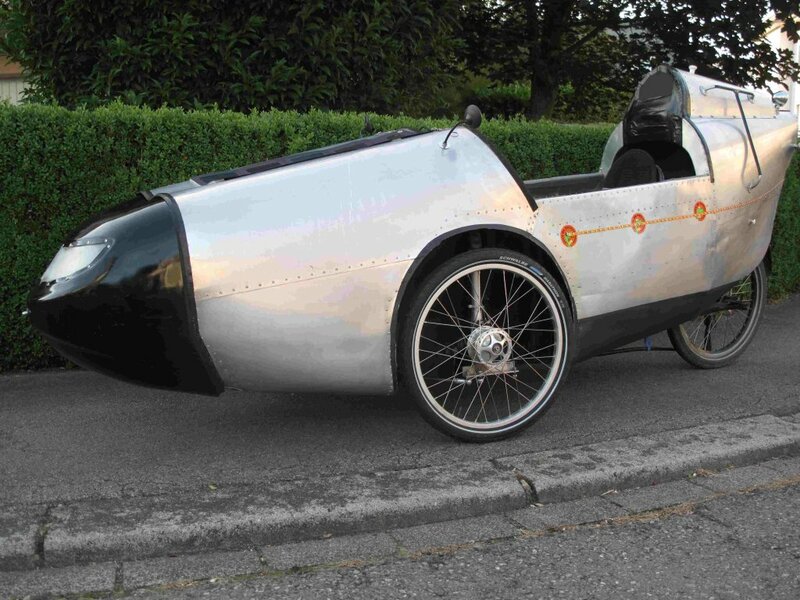 There are some two wheeled recumbents that have a "skin" that goes over the recumbent that gives the overall appearance of a velomobile. The pictures that I've always seen were trikes. Three wheeled, sleek, fast trikes. Now, I've never seen one up close and personal...until yesterday. Out for a 25 mile ride, I was coming back to Silver City on Rt. 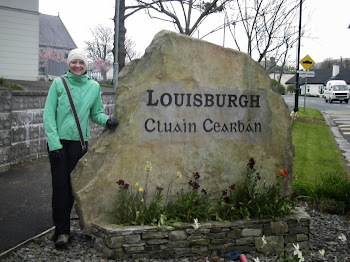 90, climbing the hill by the entrance to the Tyrone Mine, when, as I crested the hill, I spotted something down the road. Confused at first, I kept riding towards it and realized..hey, that's one of those velomobiles, but I couldn't think of the name of it at the time. Sure enough. It was a velomobile. 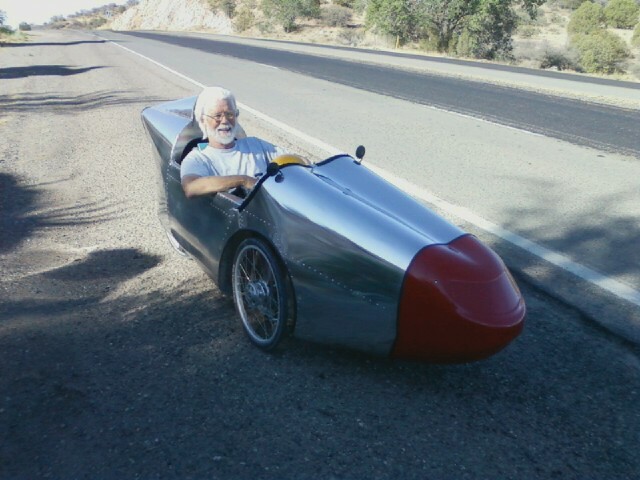 Pat Morrisey, a recent transplant from San Francisco, CA, area, along with his wife, was out on his recently completed velo kit, a FAW Velomobile. It weighs 70lbs, has a triple hub and a 9 speed cassette, giving it 27 speeds. 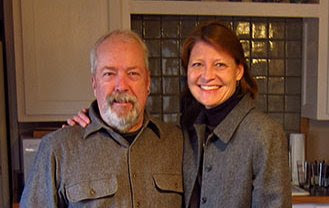 Pat was a retired counselor, so we had something in common besides our first names. 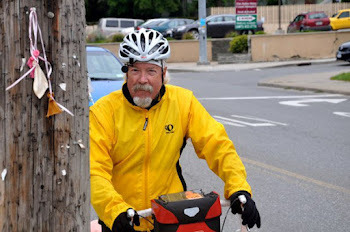 On his way from Silver City, Pat attained a speed of 49mph coming down to the community of Tyrone before he decided to slow down using the brakes. 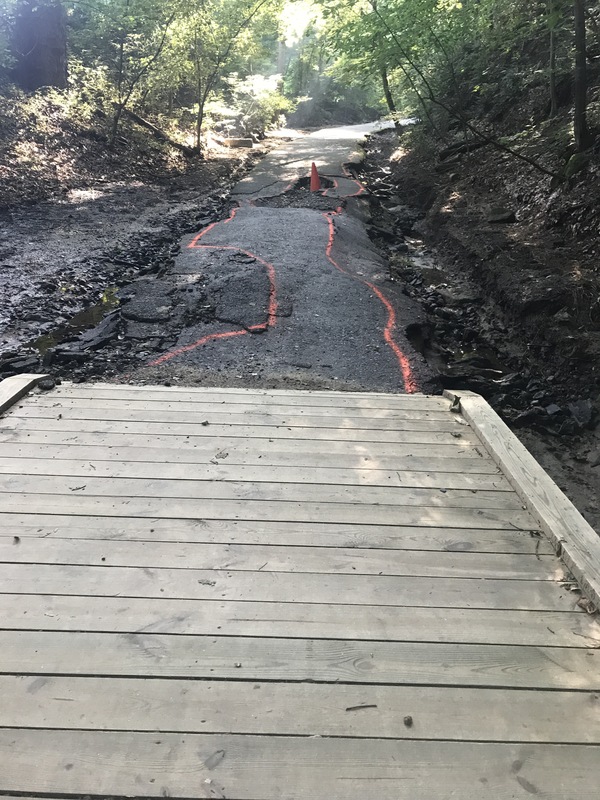 That descent is about 1.5 miles. Not too shabby. Going uphill is a different story. 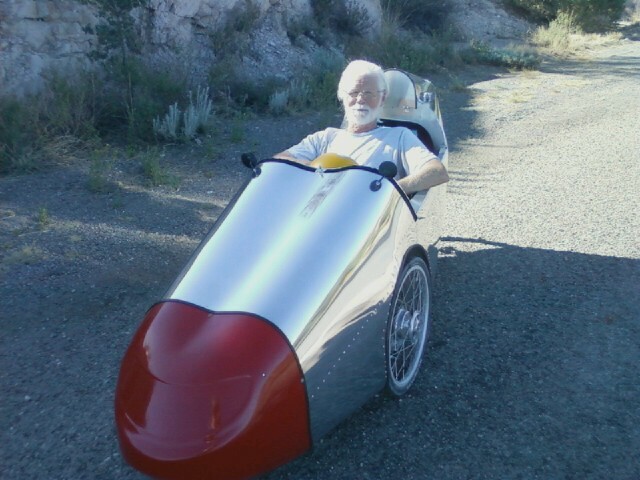 The weight obviously offsets the aerodynamics of the velomobile while climbing, but Pat managed nicely on the climb back to Silver City. As with any recumbent or trike, the effort of moving forward is all dependent on leg strength. Pat was in the early stages of developing the strength in his legs, but he was managing it well. He only completed the velomobile three weeks ago. Pat smiling at the prospect of sailing down a 4.5 mile downhill, effortlessly! FAW Velomobile and Pat Morrisey. I asked Pat why he hadn't cut slots in the nose of this...too much drag, he said. Yes, I said, but it will help keep you cool on hot days. Maybe he could create some that open/close? Actually, I think I'd be looking at a much lighter weight "skin" to cover it with to reduce the weight. Ah, always thinking... It sure was a pretty thing to look at...and he could go very fast in this. After we took off, he soon flew by me at 41mph, on his way to a faster speed, I'm sure. Going up that 1.5 mile climb up from Tyrone, I caught up with Pat, but only managed to stay with him for a while. Soon, he was moving away from me at a good clip. As we approached Silver City, Pat kept going downhill and I headed for home. He's headed out of town for a few months, but I'm sure I'll catch up with him in the Fall. I'd like to give that thing a try. Pat told me about a group of riders in velomobiles that rode from Portland, OR, to Washington, D.C. That was part of his motivation for buying his. The FAW+ kit is about $4500 and Pat said he'd added about $800 more in upgrades. So, it's not cheap. But, it's eye catching and fast...!